Mark Eves, the former speaker of the Maine House of Representatives who frequently clashed with Gov. Paul LePage, announced his campaign for governor Thursday during a barbecue at his North Berwick home. “There’s so much that we can do to lift the pressure that families are living under today and build a better Maine one family at a time, and that is why I am running for governor,” Eves said to a cheering, clapping crowd. Eves is the fourth Democrat to join the race to replace LePage, a Republican who is termed out, in January 2019. In 2015, Eves sued LePage after the governor threatened to withhold state financial support for a nonprofit private charter school that had hired Eves to be its president. Good Will-Hinckley, which operates the Maine Academy of Natural Sciences in Fairfield, offered Eves the job in June 2015. But the offer was rescinded roughly two weeks later after LePage denounced the hiring and pointed to Eves’ record of legislative opposition to charter schools. Eves and his attorney accused LePage of “blackmailing” the school for at-risk students and argued that his action violated the Democratic speaker’s rights to free speech and political affiliation, as well as his right to due process. In May, U.S. District Judge George Z. Singal dismissed Eves’ lawsuit, prompting an appeal to the U.S. First Circuit Court of Appeals, which also ruled against Eves in November 2016. 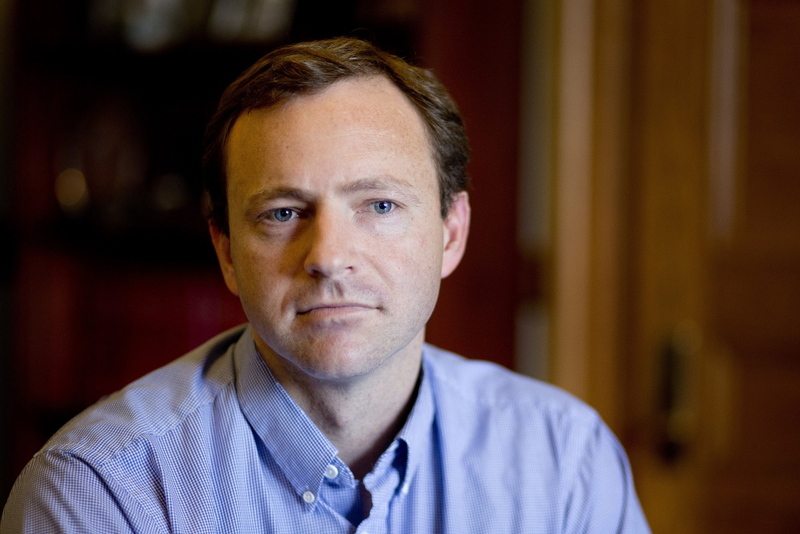 Jason Savage, executive director of the Maine Republican Party, called Eves’ decision to run for the Blaine House a “crony comeback” attempt that Republicans will firmly oppose. Eves spent more than 15 years working as a counselor and a therapist for both families and individuals, as well as an administrator at several behavioral health organizations. His resume includes stints at larger organizations – such as Sweetser and Woodfords Family Services – and in private practice as a therapist. He lives with his wife, Laura Eves, and the couple’s three children. While at the State House, and often to LePage’s chagrin, Eves forged working relationships with key Republican rivals, including Senate President Mike Thibodeau, R-Winterport. Thibodeau, who worked with Eves to craft a state budget in 2015 that could withstand a LePage veto, once said that if Eves moved to Waldo County, he would like to be his neighbor. “He is a nice man. Politically we are very different, but again, he is a nice, honest person,” Thibodeau said at the time. Eves, the son of a retired military chaplain and a schoolteacher, is a native Californian but largely grew up in Kentucky, where he graduated from the University of Louisville in 2000 with a bachelor’s degree in psychology. He earned a master’s degree in family and marriage therapy at the Louisville Presbyterian Theological Seminary in 2003. Eves and his wife moved to Maine that year, drawn by the chance to live close to Eves’ parents in York and by the state’s close-knit feel and natural beauty. They settled in North Berwick – a former mill town of 4,500 residents roughly 10 miles west of Kennebunkport – and their first child, Elaina, arrived in 2005, followed by Lucas and Naomi, all born about two years apart. Eves’ announcement came just days after Maine Attorney General Janet Mills, a Farmington Democrat, said she would be running for the office in 2018. Also in the race for Democrats are Betsy Sweet, a lobbyist, Adam Cote, a 20-year Army veteran and attorney from Sanford, and Patrick Eisenhart, a retired Coast Guard commander from Augusta.